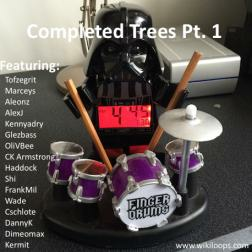 The first of a few intended albums which feature myself playing with the myriad of talented WikiLoopers who amke up this amazing pool of talent and desire to make music. There are just too many to name on one album, every one of them a joy to play with. Certainly shows your abilities in a number of styles. A real pleasure to be included in this fine album. I sincerely hope to be able to play live with you some day. Martin I have to say that you can tell you are the Drums or the beat whisperer, you have it in your bone! you never failed to give the perfect heart beat for the track, in any style...and I mean any style! it's seems like you have that switch button somewhere to give just a perfect touch that will raise up the track. Your musical understanding always amaze me, you lay down you ego and put your respect on the top of the roof of all the music you play, to embrace all the songs you play and everyone who play with you. This album is just some of so many amazing tracks that show how super groovy he can be. Martin always delivered his track with soulful feeling, you can dance till you drop when he go up beat, and you can flow slowly into his smoothies emotion. I am only one of the lucky singer and found my way that lead me to play and sing, dance to his groove! and I really enjoy every chance I've got to meet him in the track! Thank you very much for sharing your talent to us here Martin, so glad I found you! Great to be part of this album! mr p... what can i say? as always tastefully put together, full of great lines and especially great drumming! Thanks for this collection! I like your cover but I did not recognize you !